The Irish government proposes that the Senate should be abolished, our second chamber, our Upper House. 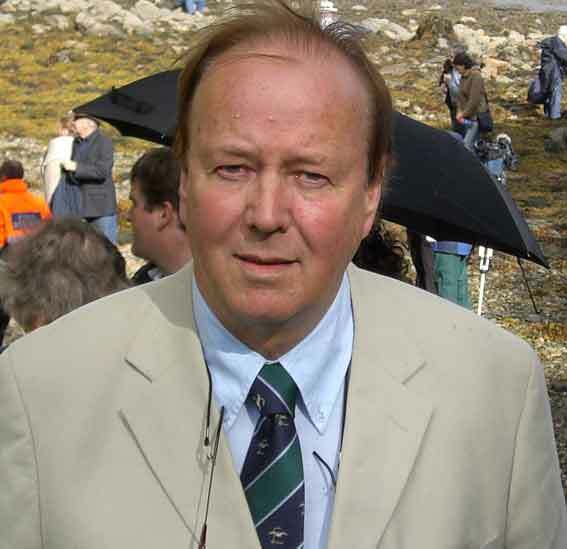 So, before doing so, and in the context of options to “reform” it, why not consider turning it, gradually and carefully, into a National Representative Forum where the views of the Irish Nation on matters which pertain to the nation’s cultural, economic, social and political welfare can be discussed and some policies and programmes agreed? Of course our “nation” should be understood to include all people of Irish descent- perhaps up to some genetic content threshold- and no matter where they may be temporarily living on this planet. We who live in the Emerald Isle homeland should be sensible enough to accept that the majority of our brothers, sisters and cousins have been forced to- or have chosen to- occupy the planet but they have just as much right to define themselves as Irish as the minority who remained in the homeland. We have much history in common and a common cultural heritage as well as moral and social values, all of which define important aspects of what it is to be Irish. In olden days emigration from the homeland almost certainly meant “never see you again” and the best one could do to stay in touch was write the occasional letter. Nowadays, anyone of Irish nationhood anywhere on the planet can have high quality video conferences with their cousins and friends for almost no cost, in real time, via computers. 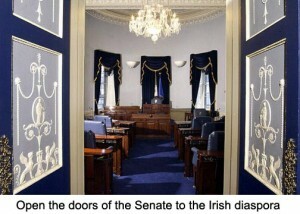 You can travel to the Senate in Dublin from any part of the globe in a day. It is now the time to use technology to “reunite” the nation and give expression to our common Irishness via some institutions, and the Senate, about to be thrown away by Dublin, is surely the place to start.